The additions of aloe and vitamin E work to leave the skin feeling soothed and moisturized. The fresh wintergreen fragrance of DisCide will leave skin tingling. 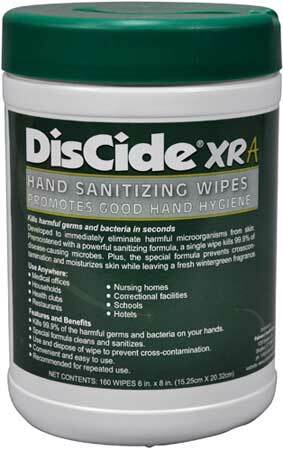 DisCide dries in seconds to ensure staff compliance with hand asepsis guidelines.